It seems to be a really good couple weeks for platforming fans. 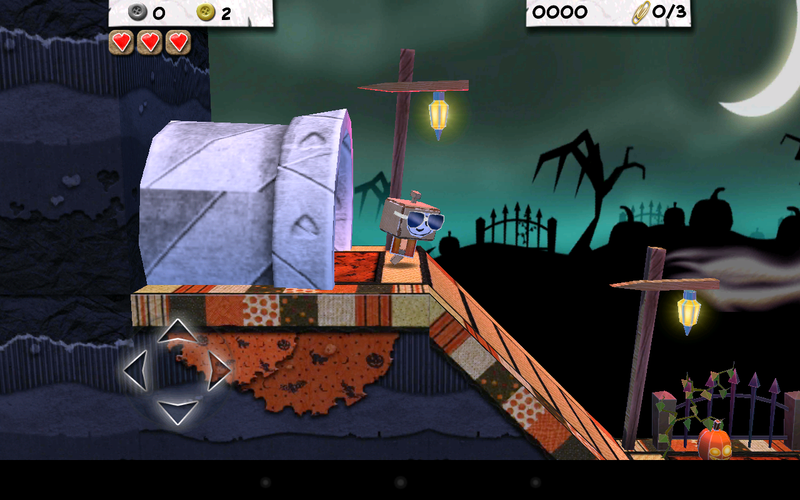 After the positive review we gave Pizza Boy last week, Paper Monsters is next on our docket. 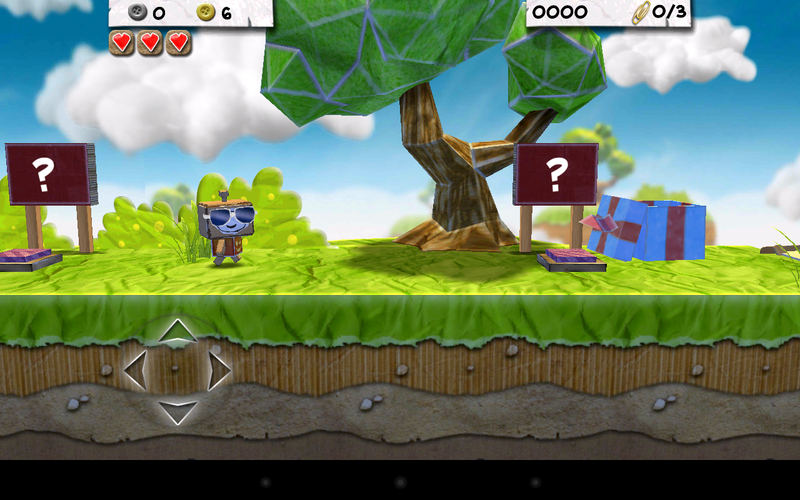 This 3D platformer is relatively simple - in a good way - and looks to be a cheap and well-polished title for Android. Platformers tend to be at their best when they're not overly complicated. The mechanics need to be easy to pick up and execute, in order to pave the way for the complicated environments you will use them in. 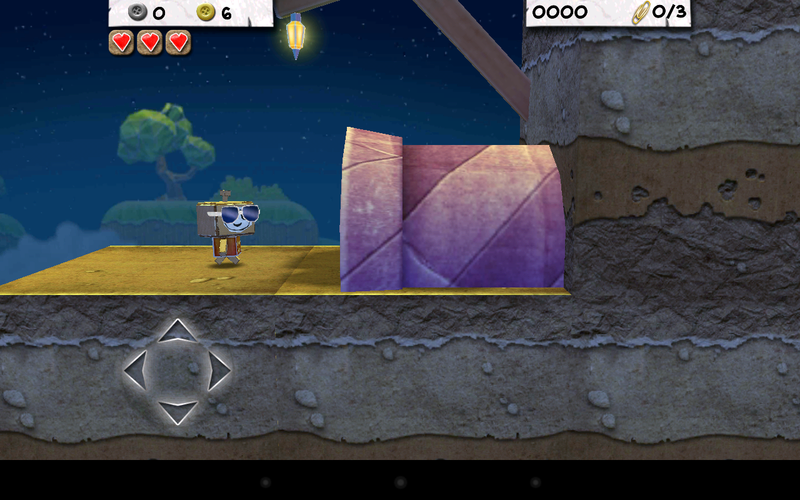 Paper Monsters does this very well; you're a cardboard box boy with the aim of progressing through a level by moving left or right, and jumping. You also have the ability to double-jump, as well, which will refresh after defeating enemies by landing on them. This will turn into some great combinations, where you'll link multiple jumps and enemies to avoid touching the ground. While there's no penalty or benefit from doing so, it's a great way to challenge yourself and enjoy the precise controls. You can maneuver your character one of two ways: on-screen d-pad or joystick. I prefer the former, as joysticks have that inherent "lag," where minute adjustments can't be made because you need to physically drag your finger back and forth. By using the d-pad, quick taps can get you where you need to go, and in some cases, save your life because you can be more precise. When it comes to the controls, I have no complaints about Paper Monsters, though I might if the joystick was the only method of control. By including a d-pad, the developers have dodged a major bullet: I thoroughly encourage going into the settings and switching the scheme as soon as possible. 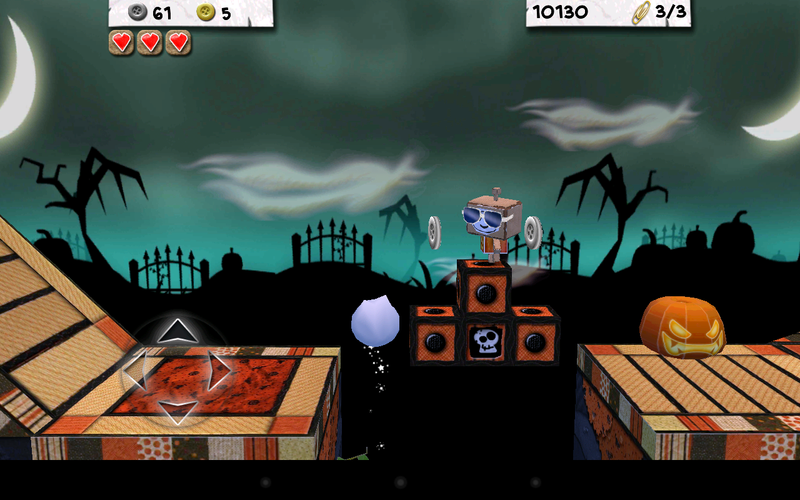 Paper Monsters instantly evokes the feeling of another great platformer in that it looks a lot like Little Big Planet. 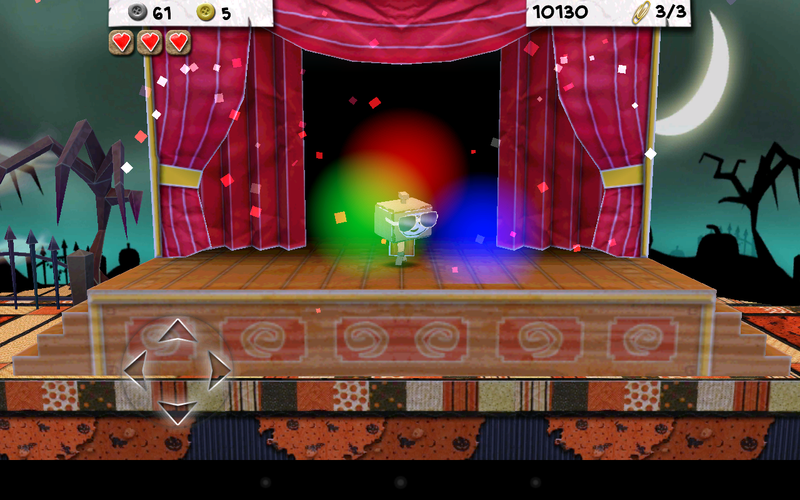 The models are over-exaggerated and cartoony, the levels are bright and colorful, and even the physics feel the same. This isn't a bad thing. It's taking a great concept and matching it, which is definitely a viable strategy for most gaming companies. Levels themselves are large enough to facilitate some exploration and make sure that your jumping skills are well-rewarded. I usually base how "good" a platformer is on its level design, and Paper Monsters spares no expense in having secret nooks and platforms. One of my favourite methods of hiding collectibles is putting it somewhere the player thinks they aren't supposed to go: that happens a lot in Paper Monsters, and it feels extremely satisfying when you reach that final boondoggle. 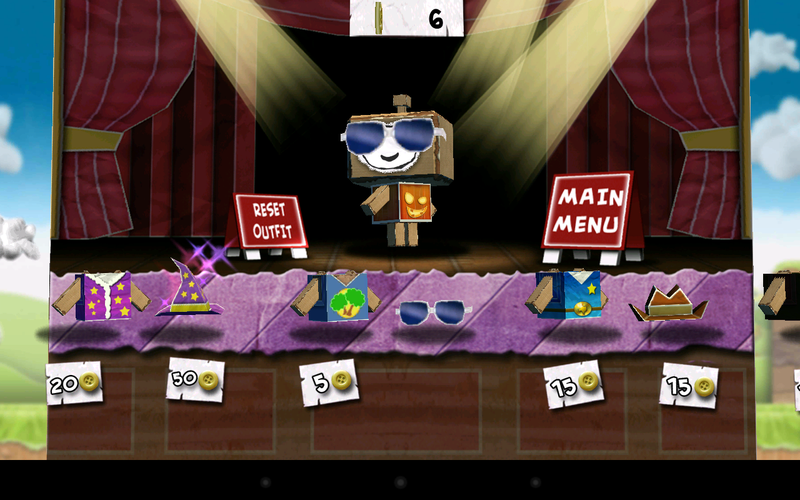 Another cue Paper Monsters takes from Little Big Planet is the ability to customize your character with a number of visual options like glasses, shirts, and hats. This is for purely cosmetic effect, and is funded by the "golden buttons" you find in the game. I'm not usually one for these kind of treasure hunts, but players looking for that extra bit of encouragement to explore will find it here. 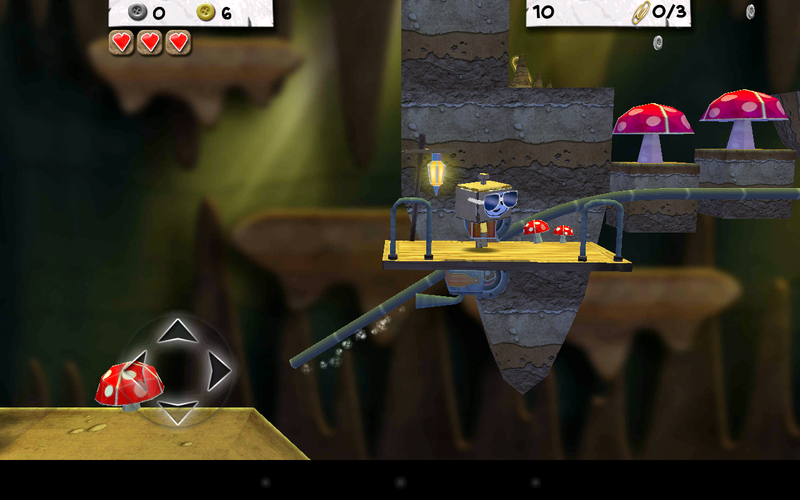 The one caveat to simplistic gameplay concepts is that you may find yourself plowing through levels a bit too quickly. I would say that my time with Paper Monsters was relatively easy, but I don't suppose it's about making the game difficult - the collection and exploration supersede completion as your primary motivation, here. 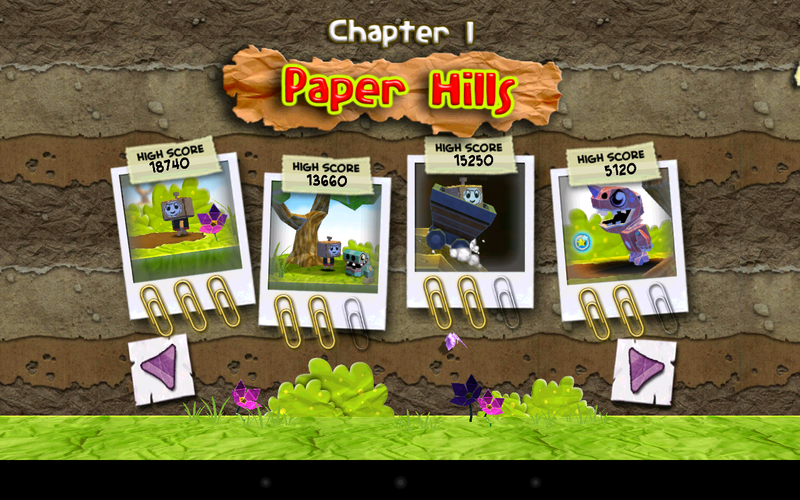 Paper Monsters is worth your time for a number of reasons. It's simple enough that your kid brother or sister could pick it up, but there are enough things to find and collect that it will keep gamers of all ages entertained. The controls and mechanics are sharp, and there's a great variety of level designs and concepts. The game is also a cheap-as-free $0.99, which, when you factor in the absence of a "pay money to get more levels" feature, is a complete steal. As far as I can tell, there is also a lack of in-app payments for things like cosmetic add-ons, and players have been receiving new levels to play and explore with new holidays. While it may seem simple on the outside, Paper Monsters is the type of game you keep on your phone or tablet for when the moment strikes and you want some good, clean, pretty fun. Perfect for trips to the toilet or for your morning commute, it's hard to go wrong with this one.